SerenArty: Life Book 2014, Can Ewe Believe It! Life Book 2014, Can Ewe Believe It! Greetings from Ireland!! First of all, my family and I are back home from Australia for a visit after nearly ten years! Lots of catching up as you can imagine on both sides of the family and also welcoming our first beautiful Granddaughter Lucy. A tiny bundle of perfection. Not much art I'm afraid, as we are just loving being with family, friends and revisiting favourite places. My posts might be a bit sporadic until I go back to Australia. I just about managed to sneak this cheeky ink and watercolour illustration of our experience of the Irish summer! I think we have been in Australia too long and now are the odd ones out wrapped up in hats and scarf's while everyone else seems to be walking around in t-shirts and shorts haha! My Big announcement is that I will be teaching on Life Book 2014!! Extremely excited and looking forward to being a part of it. Feeling very humbled to be surrounded by such wonderful art teachers. If you haven't heard of Life Book Check it out! You won't be disappointed. GIVE AWAY now CLOSED, WINNER has been announced Here! The reason I would like to win is because I’m 53 yrs old and I got Polio when I was 10 months old. I have been through hell and back quite a few times, battling depression and the death of my husband. I need to find some inner peace and learn more about making art for myself. What a lovely chance to win a year long class with amazing artists. My only child is a senior this year and will be going off to college after next summer. So any changes for my family but, I also need the reminder that I'm important and my soul needs a deep cleanse. Oh my goodness how excited am I to have come across the Lifebook 2014 experience.....and I was even more excited when I saw who would be sharing their "artfullness" with us. I also live on the Central Coast and I cannot believe that you are living right here on my doorstep. How lucky are we to have your talent right here in this beautiful place. My super big question is do you run "art workshops"? I will be joining in the fun of Lifebook because it just looks way too wonderful to resist. Enjoy your lovely break! PS. In my haste and excitement to comment I missed the part about the blog offering a site on each of the teacher's sites for Lifebook 2014. Of course I would love to win a place however, I am very happy for the place to go to a beautiful soul in need of some artful nurturing. I certainly will. Hope you are having a wonderful holiday. Julie, what a wonderful and thoughtful post, I hope you win a place! Thank you Marta that is very kind. I will be there with "sparkling bells on " as I have put it on my "birthday week wish list"....I am sure the birthday bird will grant me this wonderful gift. I am so looking forward to joining in the fun...I am imagining a year full of delicious creativity and making new friends, a dreamy year! Oh wow how cool it would be to be in one of your workshops for the lifebook, love your work. i would love to win and be inspired by the teachers and the other students! Hey Serena, Thrilled to see you teaching as I always LOVED seeing your visions on past lifebook classes, congrats!! I like your take on the Irish Summer. I think it so cute. Can hardly wait to get started. 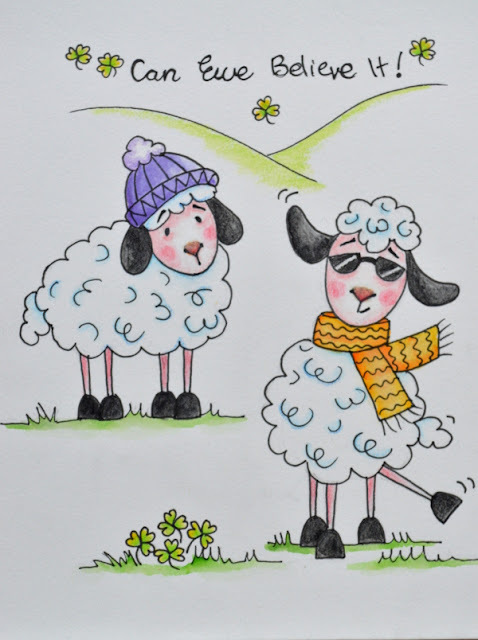 Serena, I loved your holiday drawing and words, I can imagine that while everyone in Ireland is melting with their very hot summer, coming back from Australia after so long it may not feel that hot to you! Great interpretation in this humorous piece. The comments seem to be working well. Thank you for the link to your Button, I just put it on my blog and it looks sooo cute! What a fabulous opertunity to wind a spot on Life Book! I wanted to tell you your monochrome portrait collage piece is a knock out! This is my first time to your site, and I am totally inspired already! I would love to be part of your classes in life book. I want to learn how to capture expression in my sketches - the pic of your daughter warms my heart! Yay! LifeBook 2014! Can't wait! Thank you for the opportunity to have a spot in Life Book 2014. Your generosity is overwhelming. Thanks for the opportunity to participate in LB 2014! I would love to take Lifebook 2014, the teachers including you look so fun! Thanks so much! So wonderful that you are teaching! I am taking LB2013 and would love to win a spot for 2014! Thank you so much! Just pick me please! Great to see you on the team for 2014 Serena. Looking forward to Life Book 2014, fabulous teachers on it. Thrilling to have access to so many teachers! What a wonderful opportunity to win a spot on lifebook 2014. I have admired your work, excited to know you are teaching. Lifebook is one of the best online workshops, Tamara had a brilliant idea, and it keeps getting better. I have gotten so much out of the last few years of lifebook. Thank you for the chance to win. This past year was my first experience with life book. I would be beyond thrilled to continue next year! I have met some excellent teachers and fellow students! Confratulation, for. Becoming a teacher, this coming year! Would love a spot...thanks for the chance! As I told you often I adore your artwork! I'm so thrilled for you that you'll be among the teachers, I will be part of LifeBook whether I win a spot or not, don't want to miss out all the fun!! Thank you for the chance to enter. I'm looking forward to exploring more of your work - love the sheep! Congratulations on being chosen to teach during the LB2014 event! I would like to participate to learn from the pro's and thank you, thank you THANK YOU for the seat in the class! i would love to win a place , in fact it would be an honour to learn alongside such inspirational artists and students. Your work is amazing and it would be great to get the chance to learn from you. I want to grow and change my art. Through an art journaling process, I have discovered that I expose more my internal feelings, am more raw, and seem to create more powerful pieces. Being part of a group of people who share this passion makes this even more possible. And, to top it off, the ability to learn from so many different, talented people makes the journey sweeter. From the list, I already see that each teacher has a valuable gift to share and I would love to be able to have access to that talent. I really hope to win a spot as I am ready to take my own art to a new level. Cute Sheepies! With a new baby on the way I'm looking forward to doing LB2014! My love for drawing and painting has always been my best companion, it has followed me through thick and thin, I would love to be a part of your class in Lifebook 2014. Love your work and look forward to your class in LifeBook 2014. I would so love to win a spot in the class to continue what I've been learning this year. Thanks for the chance to do so! LB 2014 , been a part since the first one and hoping to continue this journey. What a greyt line up of teacher this year and congrats for being part of it. Have learnt so much in more ways than one doing LF so would luv to be part of your giveaway. What a wonderful list of teachers. 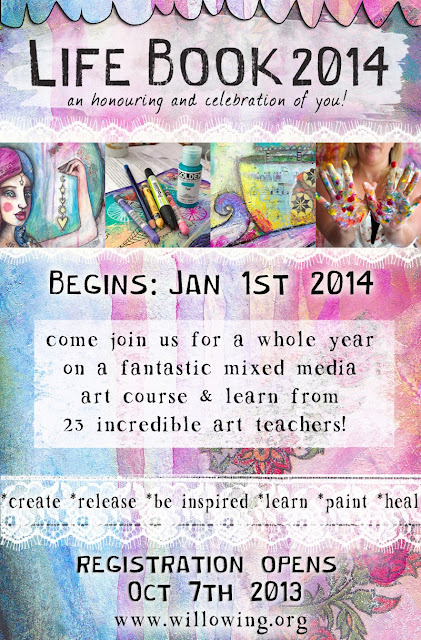 I'd love to be part of this class and learn from all the amazing artists and participants! Thanks for the chance. Congratulations on being chosen to teach LB2014. The line-up is incredible, too hard not to take:-) Congratulations also on your granddaughter. Family, friends, beautiful weather in Australia, what more can you want. Congratulations on becoming a part of the inspirational team behind Life Book! It would be wonderful to have the opportunity to learn from you next year, I'm keeping everything crossed!! Congratulations Serena on being part of Life Book 2014. I would love to win a spot as I didnt participate this year and cannot believe how much I have missed it. I definitely want to take part in Life Book 2014 if possible. I <3 art, I would love to be a part of Life Book 2014! Please count me in if you're giving away a spot in Life Book 2014! Yay! Congratulations, Serena. You will be a wonderful addition to Lifebook. I always enjoy seeing your art when we are in classes together and your art always makes me happy. Looking forward to learning from you in 2014 this year has been such a journey with life book thanks for the chance to win a spot ! Oh, i remember those days - my parents were entertainers - we'd be living in the mountains - because they would be performing there for several weeks - we'd get acclimated, then relocate to the desert in Las Vegas - - in winter, the kids would have coats on - we'd be in shorts, thinking we were hot. Although, I have travel envy. I have not, yet - been to Ireland or Australia. Awesome Stuff. Thank you for offering us the opportunity to study with you in Life Book 2014. I am looking forward to taking this class again. There are a lot of wonderful teachers signed up. Congratulations on teaching. I know I popped over to comment when it was first announced that you were a teacher for 2014, but I don't think I commented on the hop. Again, I am so super proud and happy for you Serena! You are going to knock everyone's socks off with your amazing, unique art! Congratulation on your first granddaughter! Thank you so much for the great opportunity to win a spot on Life Book 2014!!! I have always admire your art and I am not at all surprised that you are a Art teacher in Life Book 2014 high five for you Serena!!! I did Life Book 2012 but skipped 2013, but I have really been missing Life Book and the community and all the great people around it this year. Thanks so much for a chance to win a spot in this wonderful class. This is my first year participating and I'm looking forward to 2014! Congrats on being a part of Life Book. I've never taken Life Book but I'm hoping 2014 will be the year I finally join in the awesome fun. As much as I don't want Lifebook2013 to end...I am super excited for Lifebook2014. Serena, you are going to be an awesome teacher. I would love to win a spot in the 2014 Lifebook! I've enjoyed 2012 and working in 2013 and love having all the different lessons from different teachers. So much to learn and the 2014 teachers look wonderful! I'd love to win a spot in this class and learn from great artists. Thanks for the chance. What a blessing to join Likebook2014 with you as an instructor/teacher/mentor/friend! Thanks for the chance to be part of LIFE BOOK 2014, I will love to learn from you, your art is amazing. I'd love to take this class. I'd be honored to be included. Thanks for the opportunity. Would love to win a spot in Life Book 2014 to learn from all the fantastic teachers. Looking to let loose and let art flow. I hope I am not too late to enter...sounds like fun! Would be wonderful to win a space on this class - looks like what I need to get the creative juices flowing nicely. Serena, you have no idea how excited I am that you are teaching! I have been a huge huge fan of your work. You are extremely talented and I totally hope to learn some of your techniques and where you get your inspiration from. Your art always make me smile and go "oooh and ahhh!" I would love to win a spot in the 2014 Lifebook class. It would be wonderful - thanks for a chance to win! Hi Serena!! I am so excited to have a chance to win a spot in LifeBook 2014!!! I am also excited to see what great class you will be doing for us!! Can't wait!! Thanks for the chance!! There's still time to enter? Cool, since my brain's in a zillion other places right now! (lol) Thank you for the opportunity! I'm so looking forward to LB2014 - this has been a year of huge changes in my life. I'm ready to learn & step out of all of 'this'! Love your watercolor. Happy to see your teaching. Congratulations for beeing member of the teaching team and thank you for the chance to win a place in Lifebook 2014! I would love a spot...thanks for the chance! This would be so fun to win. It looks like a great class with awesome teachers. thank you so so much for the opportunity, i'd love love love to win this spot!! Serena, I love your art and hope I win a spot so I can learn from you! Would love to win a spot - I've heard so many fabulous things about previous LifeBook sessions; I know this one will be fabulous, too! Thanks so much to Everyone for leaving your gorgeous comments and entering the Giveaway. I will be announcing the winner on the 6th of October. Best of luck!! Don't forget the blog hop is continuing on the remaining Life Book Teachers sites for the next few days, refer to the list above. Hope to see you on Life Book 2014! Wow! Lifebook sounds like fun! Thanks for the chance to win...loving LB 2013! I would love to win because I love Life Book and my life is forever changed by this year. By the end of May I felt I had grown so much (0-60) since January 1st I felt entitled to call myself an artist, even though I haven't determined my style yet. I would love to win!!! I'd love to participate in this course. It would be such a great opportunity to learn from so many talented artists. Thanks for the opportunity! Congrats on being an instructor Serena! I would love a spot in LifeBook 2014! I would like to be a part of Life Book 2014. I love mixed-media. I love to paint. And I want to learn something new. I take part in LB2013 and I learned a lot of interesting things. And I’m sure that LB2014 will be very interesting too. This is so exciting. I'm always looking for ways to explore and learn. Congratulations! A spot in this would be an amazing gift that I would cherish! Congrats on being a teacher this session of Life Book. I plan on participating this year again - love learning from the wonderful teachers and other artists. Thank you for the chance to win a spot on Life Book 2014. I think we would all benefit from this course, a little (or a lot) more art can open hearts and minds and make the world a better place. I would really love to win a spot. Your art page is so cute it makes me smile. I've very excited about Life Book 2014, and hope to win a spot! LB 2013 has been worth every penny - and the good thing is that I've probably got most or all of the art supplies I'll need for next year's class! Hi Serena, the wonder of Life Book is that its lead me to some amazing artists for the first time, yourself being one of them, its these amazing synchronicities and connections and the new ways of making art that I love. I've love to win a place. This class looks like such a great opportunity. I am looking forward to it! Hello Serena! I'm entering on behalf of sister, Holly. Congrats on being on the camera side of Life Book!! Looks like you will have some great fun to share!! 2014 promises to be a very inspiring year!! Always open to learning more stuff to keep the bag o' life brimming with great ideas! Life Book 2014 looks awesome! I hope I win!! Thanks for the chance to win a honored spot. Fabulous line up of teachers. I would love to be able to participate in Life Book 2014. Life book looks fabulous for 2014, really exciting! Hello, LB2014 looks wonderful & I would be thrilled to be a part of it, especially because it is introducing me to great new artists, such as you. Thanks for the chance to win a place. Thanks for the opportunity to win a spot on LB14 looks like it's going to be an amazing year. Can't wait to see what you will be teaching ! Thank you so much for the chance to win a spot @ LB2014, so many awesome teachers to get inspiration from !! Would love to have a chance to win a spot in this class. So cool! thanks! I did LB 2012. I would love to do LB 2014. I would be awesome to win a spot and to be able to learn from all the fantastic teachers. I am looking forward to 2014 and having lots of time to create art! I would love a spot in Life Book 2013 to learn from some the most talented teachers I know of! I would LOVE an opportunity to take this course!!! Living a creative life has always been very important to me. I grew up knowing I wanted to be an artist. I remember my mom telling people I was born with a paint brush in my hands. Somewhere along the way… journeying through life I got lost…I was still being creative as a wife and mother, but I went for years with my at supplies packed up. Recently, as I’ve watched one of my daughters who is so incredibly creative and see her spend almost every extra minute of every day creating it reminds me of just how important is is and how much I miss not digging in deeper and spending more time doing my art. She just can’t get through a day without creating something. Watching her has taught me to move beyond the fear and bring art back into my life daily and intently. This is something I’ve been working on the past few years. I’ve unpacked my supplies and even bought a few new. I’ve taken some online courses and have been trying to take steps back into painting and creating new art. It’s been a bit scarey but I look forward to living a more creative life. This course is just what I need to continue to grow on my creative journey and appreciate the opportunity. It would be a huge blessing and honor to learn from some many talented artists! The lambs are so ADORABLE!!! I can only imagine being picked as the winner. Would love love LOVE it!! This looks great to me. Just discovered drawing. Following a lovely monthly course here in the Netherlands where I learn to work with all kinds of materials. This would be a great complement to it. Feel like there is a whole new world. Read somewhere a few weeks ago, from a teacher answering her little daughters question: ‘What she was doing for her job.’ ‘Learning people to draw.’ was the answer. ‘Did they forget?’ the kid replied. Just how I feel about my drawing. Had to be like this, like that, and drawing like the course shows, wasn’t what teachers expected, so I sort of started disliking drawing. And drawing like the course says is what I wanted, wow. Ooooh, hoping for a spot! I know how you feel, living on the other side of the world to your family-it's very hard. I would love to win a place on the Life Book course-it looks inspirational!! I would so love to take part in Life Book 2014, the more I read about it the greater it sounds. Enjoy your time with you family. Congratulations DIANA on winning the free place on Life Book 2014, Lucky number 1 Yay!! You need to leave me your contact details in order to claim it. Huge thanks to Everyone who entered and also for all your sweet comments. Sorry if you missed out on the place, maybe I will see you on Life Book 2014! In the meantime, I would love if you would come back and visit.